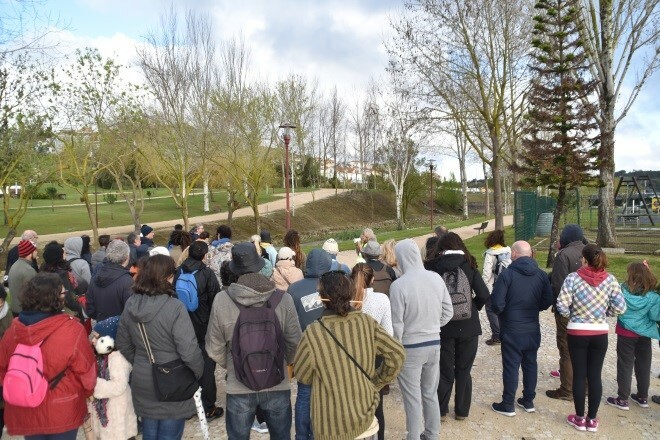 To mark the Pesticides Action Week was designed this innovative activity, which was held on March 25, 2018, linking the Glyphosate / Herbicide free Autarchy campaign, the Edible Nature project, the Land Rides taking advantage of the synergies of several partners who the co-organized: the Quercus, the Association of Marches and Tours and the Municipality of Torres Vedras. Of the approximately 120 registered people attended 73. The rain threatened the beginning of the activity, but fortunately it did not happen at all. 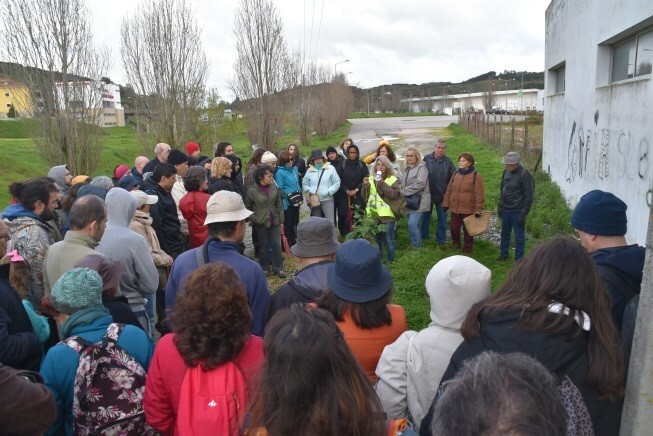 Slopes, flowerbeds, lawns, grasslands, riparian areas, urban parks, Portuguese sidewalk and Mediterranean scrub were the types of sites observed along the route and this diversity allowed to approach innumerable aspects in the interpretation of the landscape highlighting the changes between the approach with and without herbicides, and the identification of many spontaneous edible and some poisonous herbs. In the end a tasting of acorn bread and curd cheese with nettles made by Alexandra Azevedo waiting the participants that stayed for so intense and unusual flavors. This activity ended in the best way! Image 2 – Identifying edible weeds near the urban park … a blessing when other assumptions are in mind! 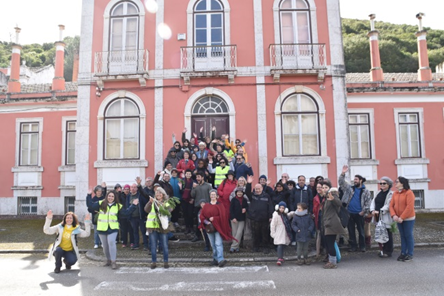 Image 3 - ​ The traditional group photo and the joy mirrored on all faces! 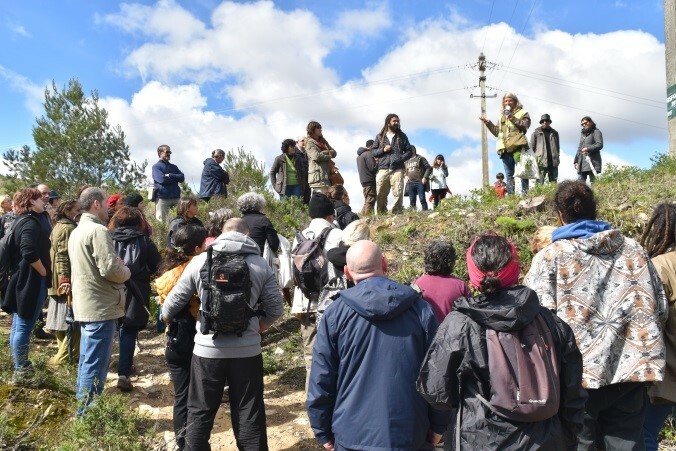 Image 4 – From this site there was a magnificent biodiverse Mediterranean forest, and many of these species could not only but should be in gardens and urban parks. The concept of edible cities is not restricted to the human species, but to all living beings who co-inhabit the territory! 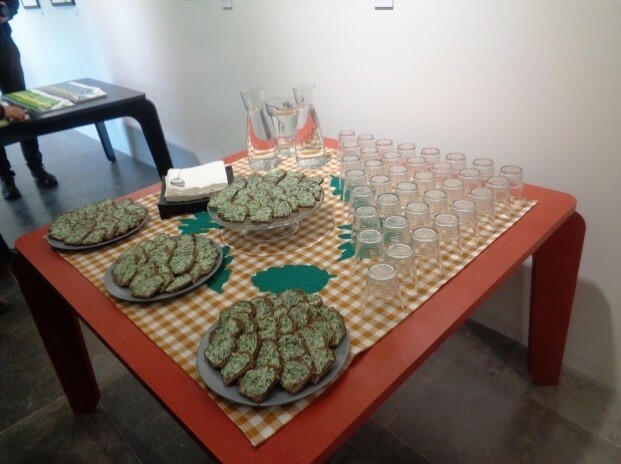 Image 5– Tasting table: acorn bread and curd cheese with nettles.